Can B12 lipotropic injections help you lose weight? B12 deficiency is common and lingering. It makes you feel crappy. But also hinders your get up and go. And, with the holiday season on the horizon more women want to feel and look their best. Parties. Events. Photo opps. Maybe you want to drop a little – or a lot of – weight to get ready for the season. If you’re wondering if B12 lipotropic injections are the magic bullet to get you there, read on. What are B12 Lipotropic Injections? Methionine: This amino acid is important for new blood vessel formation. Inositol: A mood regulating amino acid, Inositol is also helpful in high cholesterol, insomnia and panic disorder. Choline: Choline helps with metabolism and energy. In addition, some lipotropic compounds also contain L-Carnitine which is helpful in many body processes. Not all providers add this to their compounds. Do B12 lipotropic injections really work for weight loss? 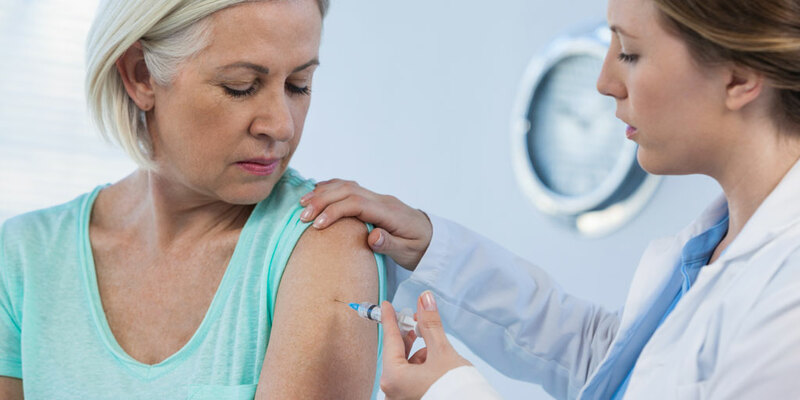 Though the science is not robust in the weight loss connection, only people with a vitamin B12 deficiency report that they lose weight with a B12 lipotropic injection. There’s no published scientific evidence behind its power for those without a deficiency. But in general, these injections are known to boost energy and metabolism – two things that might make you more likely to hit the gym or get outside anyway. So there is an indirect link for weight loss potential overall. B12 lipotropic injections do not resolve unwanted weight alone, though. Since B12 deficiency often comes hand in hand with other vitamin and mineral deficiencies the best approach to weight loss is a holistic approach that replenishes all of the vitamins and minerals that your body lacks. Why is B12 so important? No doubt, our bodies react when they are in low reserve. People with B12 deficiency have symptoms of low energy, brain fog, insomnia and more. Some people are more prone to experience vitamin B12 deficiency than others. For example, vegans are at a higher risk since B12 is primarily derived from animal products. Symptoms of B12 deficiency are often vague and last for years unchecked. But B12 is more than just inconvenient forgetfulness or staying in more nights a week. It’s critical to brain function. B12 also helps blood cell formation. Cell recovery. Many important bodily functions need B12 in full force to get the job done. Now you know the importance of B12 in helping you to be your best inside and out. But did you know it works in synergy with other vital minerals, vitamins and amino acids? This is why giving your body what it needs holistically is the best approach. Here at Inner Beauty Med, we offer Slim Shot as a holistic, well-rounded approach to replenish vitamin B12 and so much more. Slim Shot contains the essential amino acids we mentioned here in addition to B1, B2, B3, B5, B6 and vitamin C. All of these work in unison to rev metabolism and energy for truly optimal weight loss, safely and effectively. The holidays are coming! If you’ve considered B12 for weight loss, consult us today to learn more about Slim Shot.